TORONTO, October 16 – Her Majesty Queen Elizabeth II, who has attended four Queen’s Plates, will not be here Sunday but will be represented by her first Canadian runner with Dartmouth entered in Sunday’s $1 million Pattison Canadian International. 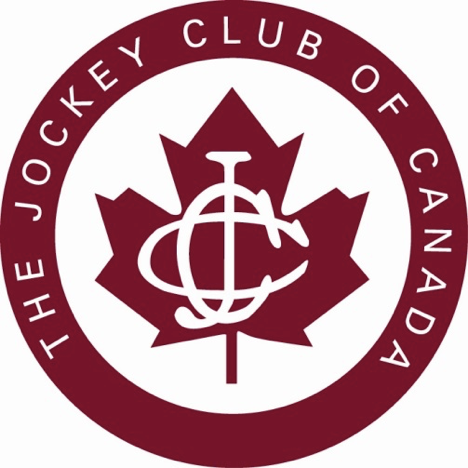 The Grade 1 Canadian International, a 1 ½ mile turf race for 3-year-olds and upward, attracted a field of nine. 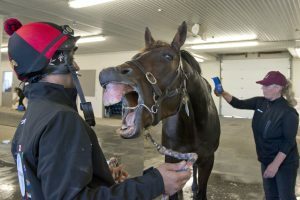 In addition to the Pattison Canadian International, one of Canada’s richest thoroughbred races (the other $1 million races are the Queen’s Plate and Woodbine Mile), two other turf stakes will be showcased – the Grade 1, $500,000 E.P. Taylor, at one mile and one-quarter for fillies and mares and the Grade 2, $300,000 Nearctic at six furlongs. The 79th edition of the International will go postward at 5:40 pm ET. TSN1 will provide special live coverage across Canada from 4:30 pm – 6:00 pm ET. This marks the 14th year that Pattison Outdoor, Canada’s largest outdoor advertising company, has sponsored Woodbine’s turf classic, which rewards the winner with $600,000. Dartmouth, a 4-year-old, will compete in a Canadian International which is comprised of four shippers from Europe, four from south of the border, and the locally-based Danish Dynaformer. The colt is trained by Sir Michael Stoute and arrived here in the care of assistant Kerry Jones, who is well aware of the significance of her role. “I find it actually nice (to have a horse running for the Queen) and I’m very proud to represent her,” said Jones. “She’s a great ambassador for the sport and knows her horses. Dartmouth has been a model of consistency throughout his career but has displayed notable improvement this season and will be looking to become a Grade 1 winner here. After winning back-to-back Group 3 stakes this spring, Dartmouth took the next step by defeating the classy Highland Reel in the Group 2 Hardwicke Stakes at Ascot. Third in a rematch there with Highland Reel in the Group 1 King George VI and Queen Elizabeth Stakes, Dartmouth had been away from the races for eight weeks when he finished second in the Group 3 Legacy Cup at Newbury on Sept. 17. Dartmouth, the third choice at 7-2, will begin from post 5. Stoute has won the last two runnings of the Canadian International, with Cannock Chase and Hillstar, and sent out Ask to finish second in 2007 and won the 1996 edition with Singspiel. William Buick, riding in his third Canadian International with a fourth and a third to his credit, has the call on Dartmouth for the first time. Also invading from across the ocean with strong credentials are Idaho, Protectionist, and Erupt. Idaho, who is the 5-2 favorite on Woodbine oddsmaker Ernie Perri’s morning line, boasts high-octane connections in trainer Aidan O’Brien; owners Mrs. John Magnier, Michael Tabor and Derek Smith; and jockey Ryan Moore. The Irish-bred colt, who is a full brother to Highland Reel, also boasts a solid racing resume which includes a third-place finish in the Group 1 Epsom Derby, a second in the Irish Derby, and a sharp score in the Grade 2 Great Voltigeur at York. In his last start, as the 3-5 favourite in the Group 1 St. Leger, Idaho stumbled when coming out to launch his rally and unseated rider Seamie Heffernan. Idaho will start from the 3-hole. “That’s a good post for him,” said Murphy. As the only 3-year-old in the field, Idaho will be getting seven pounds from his older rivals as the 119-pound lightweight. Protectionist, the 3-1 second favorite, has rebounded in a big way at age six as he is three-for-three in his homeland with the latest success coming in the Group 1 Grosser Preis Von Berlin. Owned by Australian Bloodstock, Protectionist had traveled there to win the Group 1 Melbourne Cup in 2014 but failed to reproduce that form in eight starts Down Under last season. Protectionist, who drew the outside post, is the leading money-winner in the field with more than $3.5 million in his 21-race career. Protectionist is trained by Andreas Woehler, who sent out Paolini to finish second in the 2001 Canadian International. Eduardo Pedroza , Protectionist’s regular rider in Germany, will be looking for his first Canadian International placing in his fourth visit. Erupt (6-1), shipping from France for Flaxman Holdings and trainer Francis-Henri Graffard, has been blanked in four starts this year while racing in Group 1 and Group 2 company. The 4-year-old Irish-bred colt did take Longchamp’s Group 1 Grand Prix de Paris last summer for his fourth win of 2015, however, and went on to finish on the edges in highly competitive editions of the Group 1 Prix de l’Arc de Triomphe and Group 1 Japan Cup. His Group 1 score was the first for trainer Graffard. Regular rider Stephane Pasquier will do the honors, starting from post 8. Heading the American contingent will be The Pizza Man, Wake Forest and World Approval, who finished 1-2-3 when here last month for the Grade 1 Northern Dancer over the Canadian International course and distance. The Pizza Man (8-1), the senior member of the field at age 7, was recapturing his best form there after becoming a Grade 1 winner just last year in the Arlington Million. Owned by Midwest Thoroughbreds Inc. and trained by Roger Brueggemann, The Pizza Man responded for new rider Flavien Prat that day and the pair will be a team again Sunday. Wake Forest (10-1), a German-bred, moved over to Chad Brown’s barn last year after beginning his career in Germany and scoring twice in Group 3 races. The 6-year-old has stepped up his game on these shores, winning Belmont’s Grade 1 Man O’ War and just missing a second such score when beaten a neck at Woodbine. In his start prior to the Northern Dancer Wake Forest had finished 10th, beaten 4 ½ lengths, in the Arlington Million. Wake Forest, who will start from post six, is owned by Sheep Pond Partners, Bethlehem Stables LLC and Michael Dubb. Trainer Chad Brown and jockey Javier Castellano, both of whom top their respective standings in money won for North America, will be in Wake Forest’s corner. Brown has sent out two Canadian International runners-up in Big Blue Kitten (2014) and Hyper (2013). Castellano rode longshot Marsh Side to victory in the 2008 edition. World Approval (10-1), who missed by a total of a half-length when trying the mile and a half for the first time in the Northern Dancer, has been an improved runner this year at 4 and became a Grade 1 winner in the United Nations at Monmouth. “I think he handled it fine—I just don’t know if that’s his preferred distance,” said trainer Mark Casse, of World Approval’s front-running Northern Dancer effort. Owned and bred by Charlotte Weber’s Live Oak Plantation, World Approval will begin from post two and will be partnered by Julien Leparoux, who will be riding in his third Canadian International and finished fourth aboard The Pizza Man in 2014. Taghleeb (20-1), a 5-year-old horse, will check in from Kentucky off a win in the 1 1/8-mile Remington Green at Remington Park. Claimed for $62,500 at Saratoga this summer, Taghleeb will be making his third start for owner Michael Hui and trainer Mike Maker. Florent Geroux rides Taghleeb, who will start from post 7. Danish Dynaformer (10-1), trained by Roger Attfield for Charles Fipke, represents Canada’s chance in the Canadian International. The homebred 4-year-old colt who was beaten 3 ¼ lengths as the fifth-place finisher in the Northern Dancer, became a Grade 3 stakes winner in the Singspiel at 1 ½ miles on this turf course in July. Joel Rosario will ride Danish Dynaformer for the first time and the pair will break from the No. 1 post.